Hello! Welcome back for day 2 of Stamp Highlights! 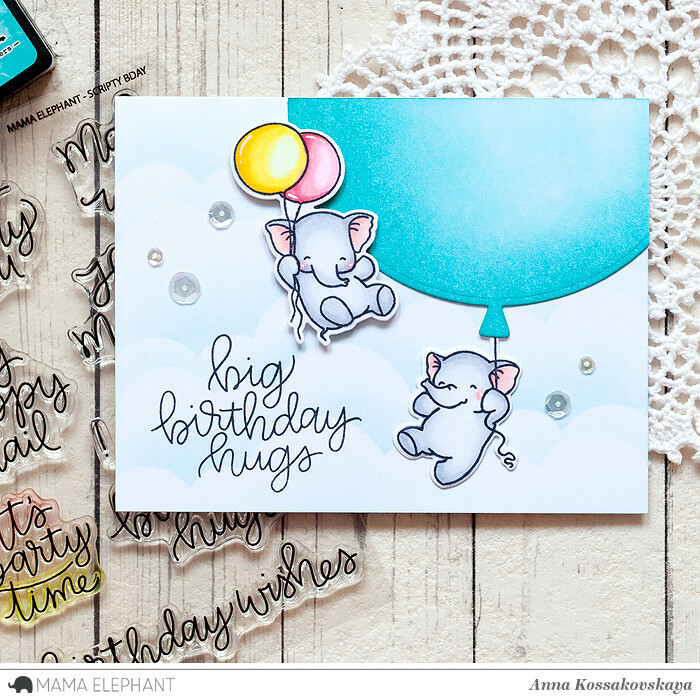 Today we are looking at the Kryssi's newest hand lettering set, Scripty Bday. These sentiments have such a whimsy festive feel to it! 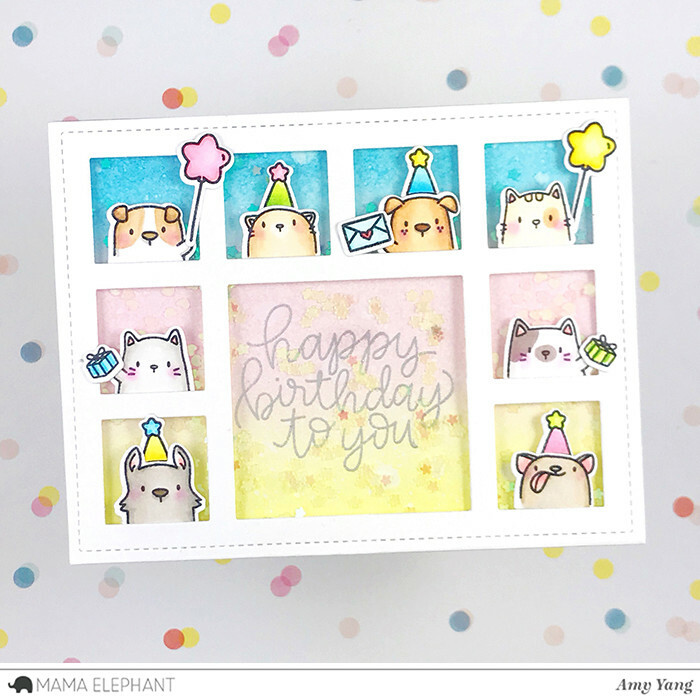 Amy combined the Scripty Bday, The Dog's Woof, and The Cat's Meow stamp sets to make this cute birthday shaker card. 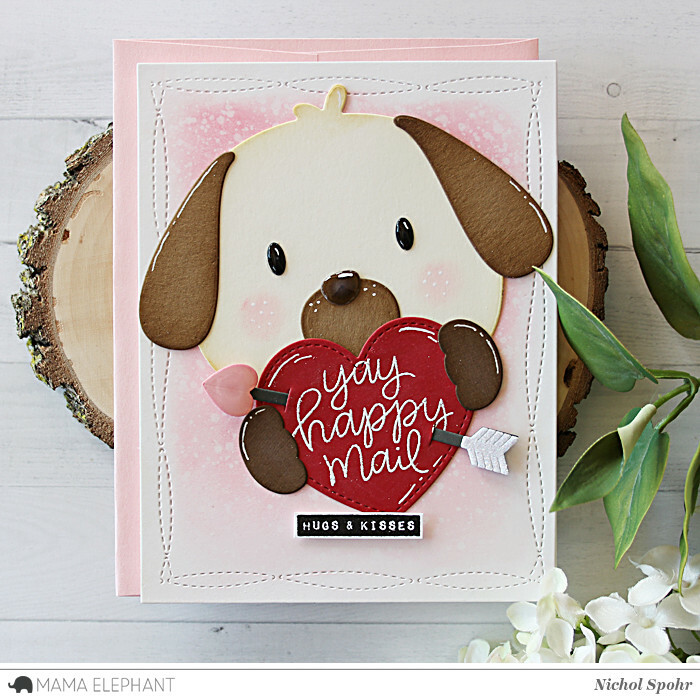 Anna combined this set with the new Fly With Me stamp set and created very sweet card. 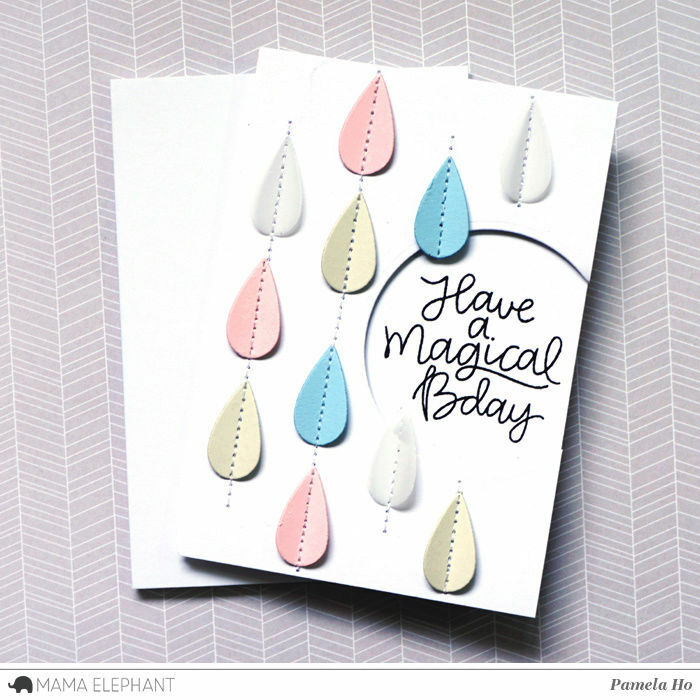 We love the stitched raindrops around the Scripty Bday sentiment! 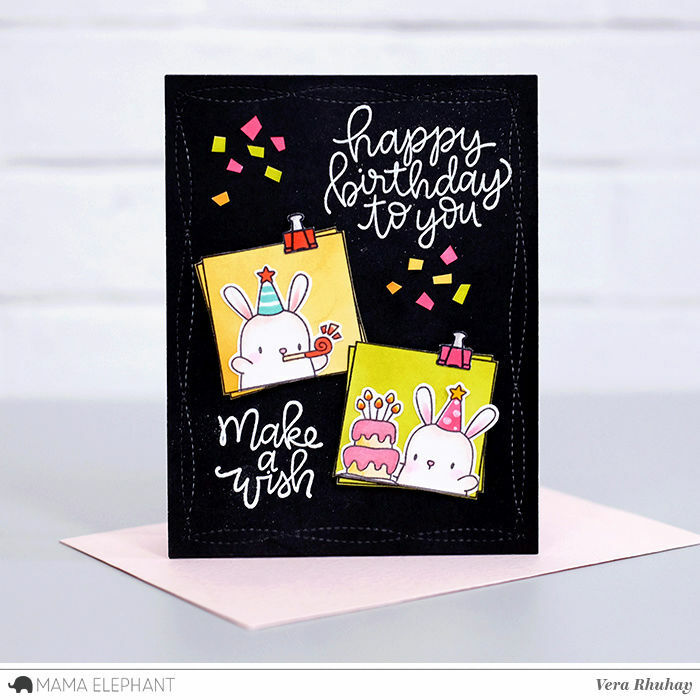 Vera made a Birthday card by combining Party Animals and Sticky Notes. The Love Favor Bag Add On is the perfect backdrop for a Scripty Bday greeting! Vera's card is striking, and I squealed over Anna's. So cute! Absolutely gorgeous and so adorable! OH what adorable cards!! LOVE! !